Karen Bystedt is an American visual artist, author (Not Just Another Pretty Face, The New Breed: Actors Coming of Age, They Dared to Dream), and photographer who has installed her own art exhibit at The Port Authority Bus Terminal in NYC, where it will be viewed by approximately 56,000 people a day. The exhibit contains artwork from her ‘King Kollection’, ‘Inclusion Series’, as well as two pieces from the ‘Lost Warhol’ inspired collaboration between Bystedt and hip-hop artist turned street artist Chris Brown. Bystedt is best known for a series of photographs she took of Andy Warhol in 1982, also known as the ‘Lost Warhols.’ After losing track of the negatives for 25 years, Bystedt found 10 of them in an old cardboard box filled with termites. 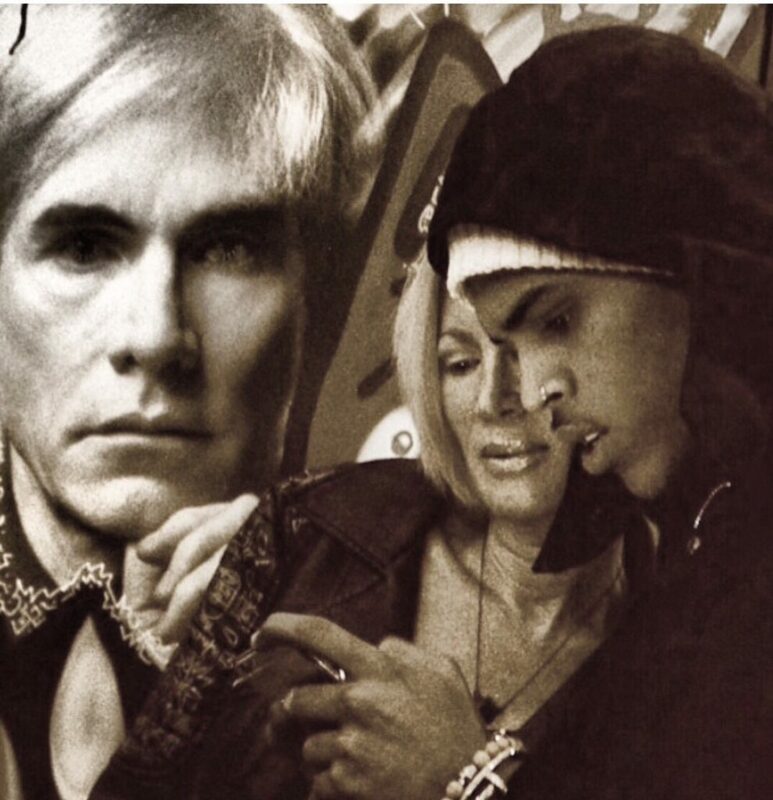 These original photographs of Warhol, as well as three collaboration ‘Lost Warhols’ with Gregory Siff, Brayden Bugazzi and Norwegian artist Svein Bringsdal, were recently displayed at a private benefit in support of “God’s Love We Deliver,” a non-for-profit meal plan for those living with HIV/AIDS and other illnesses. The benefit was held at the New York EDITION Hotel and was hosted by Halston Inc. to commemorate 30 years since Andy Warhol’s death. Attendees included Sean Lennon, Princess Alexandra of Greece, Pat Cleveland, Anthony Haden-Guest, and Theodora Richards. In 2016, Bystedt began to create her own mixed media art collection called ‘The King Kollection,’ which was inspired by her partnership with the Brad Branson Estate. Bystedt merged her own original images of Andy Warhol with those of Jean-Michel Basquiat, taken by Brad Branson in Venice Beach 1985. In these pieces, Bystedt “crowned” both Basquiat and Warhol with an urban fashion inspired crown using gold spray paint and gold leaf. They are both “KINGS” on many levels. Myron W. Johnson curated Bystedt’s exhibit located at The Port Authority Bus Terminal of NY & NJ at 625 8th Ave & 40th toward 9th Ave end. The art will remain on display until Monday, July 31st.